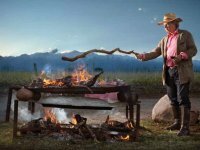 Valle de Uco is located one and a half hour from the city of Mendoza, on the foothill of Los Andes Mountain. This area is the region with the highest potential of development in Argentina’s wine industry. "The wine tour turned out lovely." 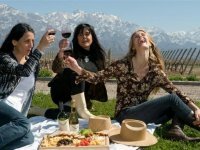 We will enjoy an exciting tour through the Uco Valley, where we will visit unique wineries such us Gimenez Riili, Salentein and La Azul. We will enjoy a delightful tour visiting some of the most impressive wineries of Uco Valley: Pulenta Estate, Domaine Bousquet and Andeluna. "It was definitely a highlight of our trip." Enjoy an exciting tour in Uco Valley, a delicious lunch in a unique winery: O. Fournier. "The gourmet lunch was delicious!" An incredible tour, and one of the most amazing lunch, elaborated by F. Mallmann.